In this day and age, all of us, perhaps some more than others, watch our fair share of television throughout the day and night- from The Walking Dead to Grey’s Anatomy to the numerous reality shows that are out there, we all have our own vice. Now, although a good book can also be just as enjoyable, for those who are heavy into many action-packed shows and movies that are out there, let’s discuss some of the best corner wall TV mounts, currently on the market in 2018. Searching for a high-quality TV mount is not, necessarily, as simple as it sounds; it does not matter how skilled you are in assembly if you are dealing with poorly-crafted material, which can significantly contribute to incorrect mounting. Hopefully, the reviews below from ReviewCart will assist you in whatever searching you are doing for the perfect TV wall mount. Let’s get started! 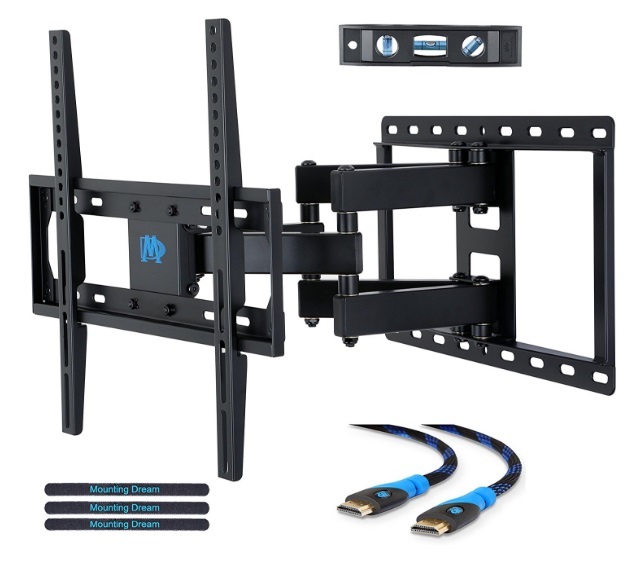 We are going to start with one of the more pricier TV corner wall mounts that are currently on the market; this particular model comes in at about $70.00 on Amazon and is equipped with a unique articulating wall mount that is designed specifically for easy corner installation. The mount arms can be independently articulated to allow for centered (or off-centered, depending on your preference) corner installation. Depending on the exact look that you are going for, by dividing the wall plates, they can be installed on separate adjacent walls or if you would like to keep the attached to the same wall, the mount can be installed just like any other traditional TV wall mount. One of the pros of this model is that it is with a ton of brands including Samsung, Sony, LG, Sharp, Insignia, Vizio, Haier, Toshiba, Sharp, Element, TCL, Westinghouse and TV inches that include 37, 40, 42, 48, 49, 50, 51, 52, 55, 60, 63, as well as some 65 and 70 inch TVs; it also has the traditional tilt and swivel options (FYI the continuous tilt Feature, up to 15 degrees up or down, allows for better viewing angles and reduced glare). This model is only designed for brick or concrete walls, so depending on the design of your house, this may or may not be the model for you. Also, some of the materials required for assembly did not come included in the shipment, which is naturally an inconvenience to the buyer. The ViedoSecu comes in at roughly $25.00 on Amazon, with heavy gauge steel supports that screens up to 88 pounds and is compatible with VESA, which is a certain mounting-hole pattern (that is, if you’re using that type). There is also a post-installation level adjustment which allows for the user to fit the TV to his or her perfect level, not to mention the tilt/swivel option that grants users the ability to swivel the mount 180 degrees (in addition to rotating) for maximum viewing flexibility; the VESA plate can also be taken off for easy installation. The mounting hardware that comes with this model is standard mounting hardware that includes a 10 ft. HDMI Cable and 6″ 3-Axis magnetic bubble level to assist during assembly. The low profile mount is a huge plus because it retracts to 2.2″ to save space and also extends 20″ from the wall to get the most out of your visibility options. There can be some issues with assembly and mounting, depending on the TV that you are attempting to mount, in particular, the LG 24-inch Smart LED TV. Also, depending on the weight of your TV, it could be too much for the mount to handle, which could result in the screws becoming stripped or the TV not being mounted securely. 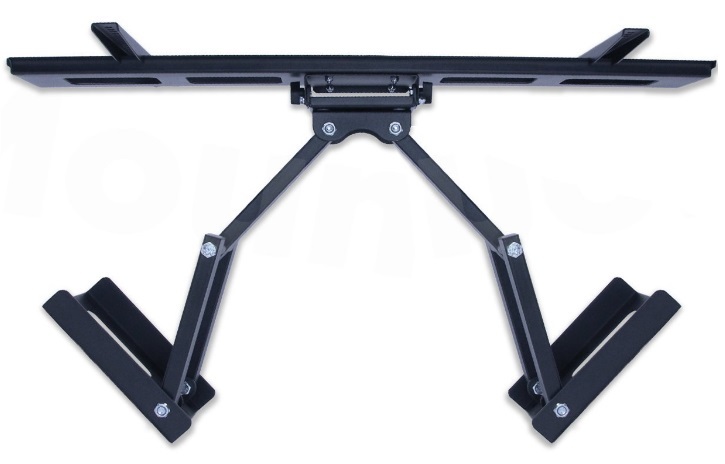 This heavy-duty unit of the Mounting Dream MD2380 is about $30.00 on Amazon and fits most 26-55 inch televisions that are up to 99 LBS; it also has a max VESA of 400 x 400mm, in addition to mounting holes for spacing. This particular model makes viewing more comfortable by having the ability to tilt up to 5 degrees and down up to 15 degrees ( I know that may sound a bit confusing), in order to reduce glare. This model also swivels to both the left and the right, according to your preference. Additional features include a 6 inch HDMI cable, mounting template, and a torpedo level, not to mention a pull-out option that gives you up to 15 inches and retracts back to 3 inches, making the user have more options to watch their best shows. One of the main pros of the Mounting Dream is the easy installation that comes with pretty a decent instruction manual and included hardware/accessories that are all in pre-labeled bags for the users’ convenience. There is also a post-installation adjustment option that allows for perfect TV leveling once your TV is mounted. The warranty also cannot be ignored! The negatives for this model are pretty sparse, the main complaint being that the TV sags once it is mounted, but naturally, this most likely depends on the weight of your television. The ECHOGEAR will cost you about $40.00 on Amazon and will undoubtedly be a good choice for an amazing view of your favorite TV show or movie, from any seat in the room. The ECHOGEAR also has the option to extend and swivel the mount to position your TV to your ideal specifications, just in time to catch that season premiere! That annoying window glare? Don’t even worry about it- with the 15-degree tilt capability that the ECHOGEAR has, that glare will just about be nonexistent, which also makes all adjustments easy; no tools, no fuss, no irritating guests waiting on the show to start. The easy to follow instructions and simple 3-step install process make mounting your TV incredibly easy and typically installs in a single wood stud for maximum flexibility. The heavy-duty steel mounts are also designed to accommodate just about any VESA pattern and televisions that are up to 55 inches; just to make sure your TV is secure, they also come with an extensive hardware packet to make sure the mounting is as stable as possible. There have been some issues with this particular mount not fitting TVs that are 55-inch, even though the packaging states that it does. 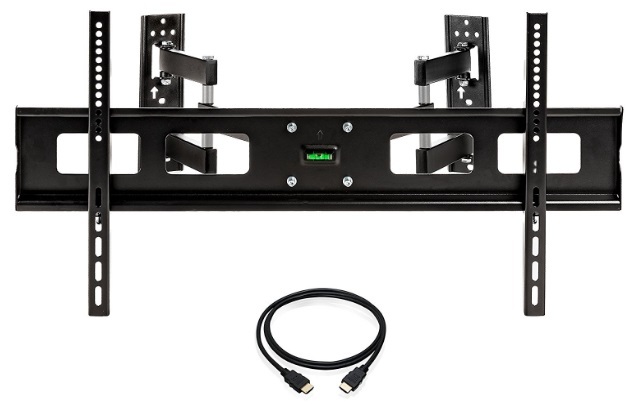 The InstallerParts Corner Mount will cost you about $60.00 on Amazon and features heavy-duty materials to guarantee an effective, universal corner mount for your TV; the Installer mount fits most televisions that are 37 to 65 inches with flat panel displays that are up to 130lbs. The Installer is also VESA compliant, meaning that the mount meets VESA Mounting Interface Standards (which is a big thing, if you can’t tell) and is also compatible with mounting hole patterns from 200×200 to 800×400 (for all of you who like to look at actual numbers). Easy installment- we all love that, the hardware that comes with the model makes your job relatively pain free. 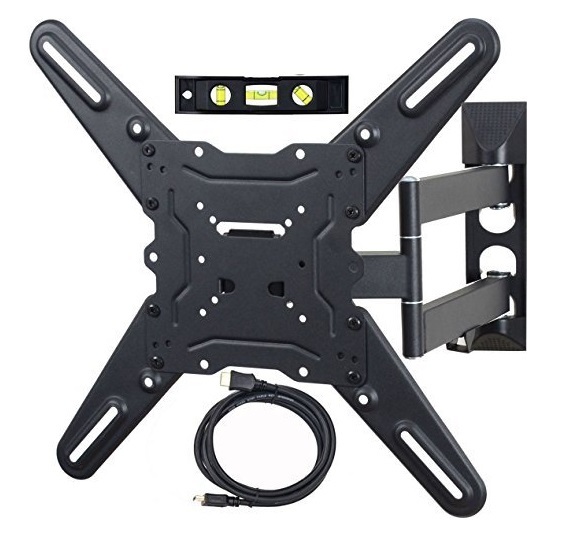 It also comes with the standard hardware that is required to fasten your LCD LED or Plasma TV to your corner mount in the most effective and efficient way possible. This model can be a bit heavy, meaning that there is a chance the TV (or the mount) can sag; also this model may not be the best option if you have drywall and NOT brick. Reviewing these five corner TV mounts, it is safe to say that potential buyers will first want to absolutely make sure that their TV (or the TV that they plan to mount) fits the mount. 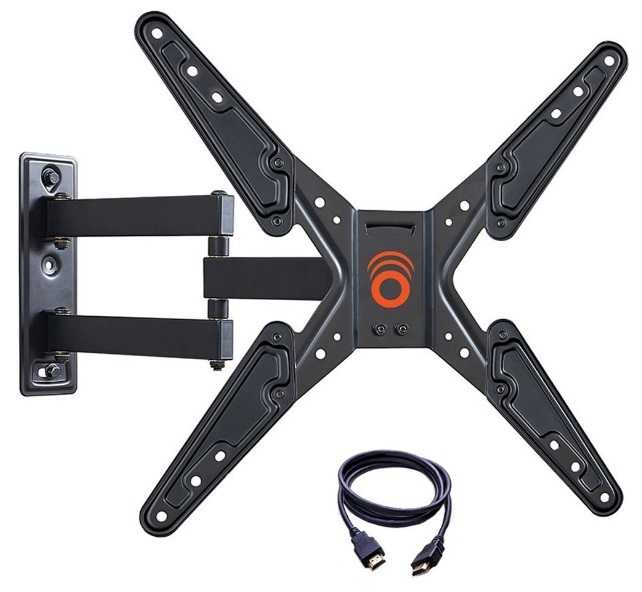 Also, it seems as though a lot of these mounts are the better fit for dry or concrete walls, so if possible, talk to someone in the store, or over the phone to verify that it will fit for whatever kind of wall you would like to mount your television too. Lastly, be sure to keep you receipt ALWAYS…not to say this necessarily guarantees a prompt response, but it is an area that many of us slack in.